Please note: Camping, trail bike riding and 4WDing are not permitted in Cumberland State Forest. Australia's only metropolitan state forest, Cumberland State Forest, is located at 95 Castle Hill Road West Pennant Hills, Sydney, only half an hour from the CBD. Cumberland State Forest contains 40 hectares of native forest. The original privately-owned land was cleared in 1908. 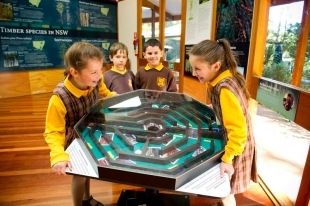 In 1938 its management was taken over by the then NSW Forestry Commission and was dedicated as a State forest in 1939. One third of the land was planted as an aboretum while the rest was allowed to regenerate naturally. 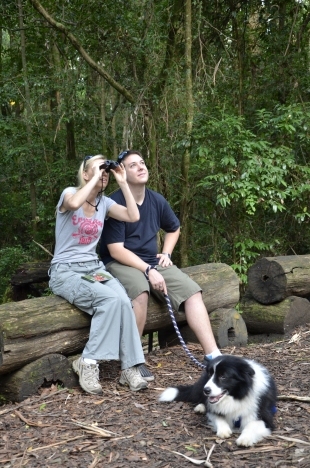 Enjoy a forest walk, picnic or barbecue, discover the surprising diversity of wildlife in the forest on a guided walk as part of our extensive school holiday and activities program or participate in our volunteer program. Cumberland State Forest also runs a forest school education program. Normal forest gate opening times are 8.30am - 5.00pm, except during daylight saving times where they are open 8.30am - 6.00pm. 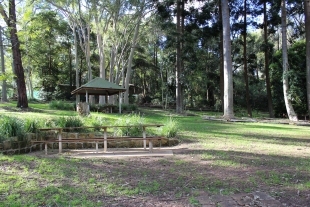 At the top of Cumberland State Forest, this picnic area is great for large groups and includes a BBQ. Great spot for a BBQ. Close to the visitor centre, cafÃƒÂƒ© and nursery. At the top of Cumberland State Forest, this picnic area is very picturesque looking out over the arboretum pine grove. Great for large groups and includes a new BBQ and sheltered area. Great spot for a picnic. Close to the visitor centre, cafe and nursery. This picnic area also has a shelter with seating for about 30 people. BBQs are across the road at Shepherds Picnic Area. Interpretive signage on the sensory trail encourages walkers to experience the forest and all its wonders with their sense. Braille books are also available on site by prior arrangement. Contact 1300 655 687 for details. Download the audio 4Mb.